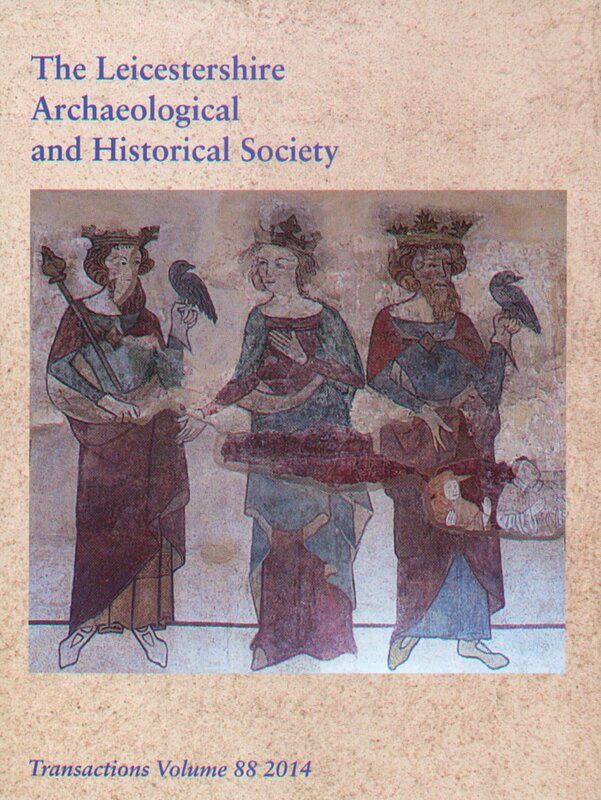 The latest volume of the Transactions of the Leicestershire Archaeological and Historical Society (vol. 88, 2014) has been published. This year’s volume includes a new article co-authored by John Morison and ULAS’s Vicki Score on ‘The Lost Chapel of St Morrell, Hathern’ (Previously reported on by ULASNEWS). John Thomas has compiled the latest ‘Archaeology in Leicester, Leicestershire and Rutland 2013’ and two ULAS books have received excellent reviews, Hoards, Hounds and Helmets: the story of the Hallaton Treasure and Richard III: the king under the car park. Other articles examine Bradgate Park, an Iron Age enclosure at Sileby, medieval wall paintings in the parish church at Lutterworth and much more. For more information please visit the society’s website and remember, you can freely access hundreds of past articles from Transactions (vol. 1 -78, 1862-2004) from their website too.